The festivities are now in full swing and any modern hound worth their doggy biscuits will have a jam-packed dance card, bursting with exciting socials with you and their four-legged friends. In Lead The Walk’s final column on 2016, we bring you four essential ingredients to ensure your pup is the best-dressed, best-mannered furry guest through Christmas and New Year. Bow ties are so last season. For your pup to be at the front of the party pack, it’s all about the splashy statement collar and little else. 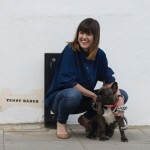 And they don’t come any more statement making than Frida Firenze’s Combination Stud Dog Collar in Gunmetal Grey or bold red. Barking luxury and high fashion, they blend soft leather with silver and gold studs to create the ultimate special occasion dog collar. 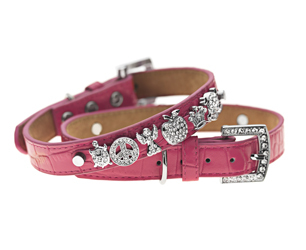 If you love your puppy princess to sparkle then you’ll be dazzled by Voss By Voss collars, which have been sprinkled with a bit of Swarovski magic for a pretty party look. Choose the collar then customise with a wide range of crystal charms designed to show off their personality. 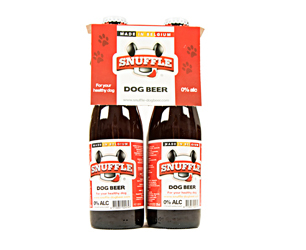 Bring a bottle (or four) with non-sparkling and non-alcoholic, Snuffle beer for dogs. Share out this thirst-busting, flavour-packed brew of chicken or mix-beef stock, malt barley extracts, Vitamin B and mineral oils between their fur pals and let them get down to PAW-TY! 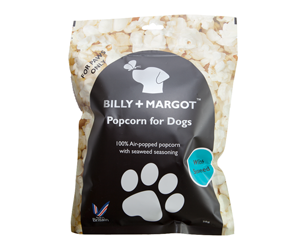 While you chow down your canapés, toss the doggies some Billy + Margot’s Popcorn for Dogs. Stripped back of all the ingredients used for the humankind version (butter, salt, sugar), this recipe is air popped to make a healthy, low fat popcorn alternative just for dogs. Should it turn into a late one and you’re both in need of a place to crash. 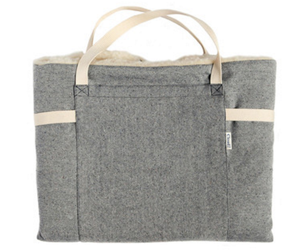 Spare your mate’s sofa from the fur (and drool) with this stylish and compact Dog Travel Bed by Cloud 7. They’re also great for popping onto a quiet spot so your dog has the option to take sanctuary if the festivities get a bit too much for them.